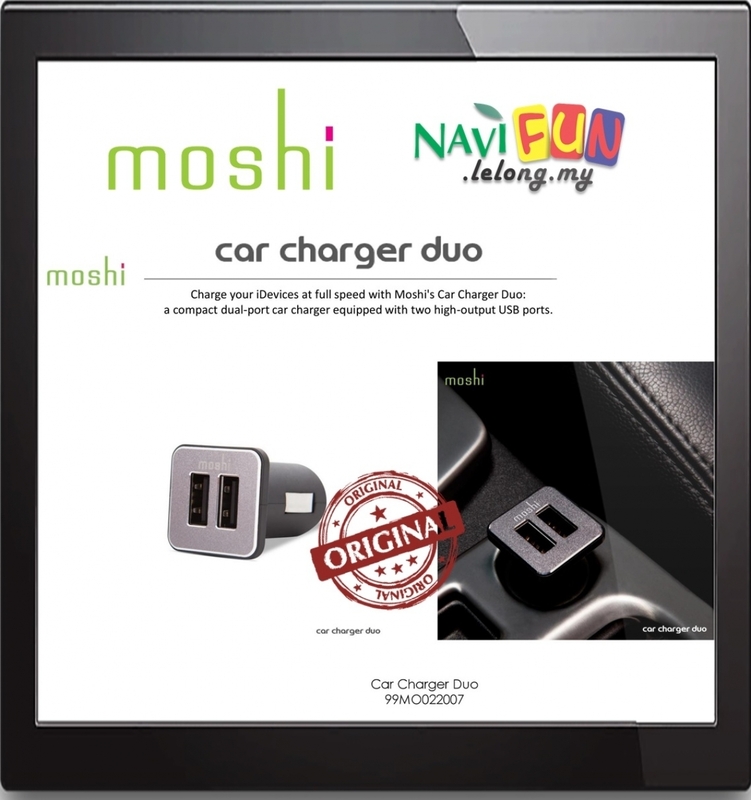 Charge your iDevices at full speed with Moshi's Car Charger Duo: a compact dual-port car charger equipped with two high-output USB ports. The compact plug design minimizes cable protrusion when deployed in the console. The anodized aluminum cover plate is a stylish complement to any car interior, and provides a helpful glow for easy charging in the dark. Both USB ports are rated at 2.1A (10W), for efficient charging of up to two connected devices. Car Charger Duo's advanced power management circuitry senses and protects your device from overcharging. Car Charger Duo can also be used with any other mobile device that charges using a standard USB cable.